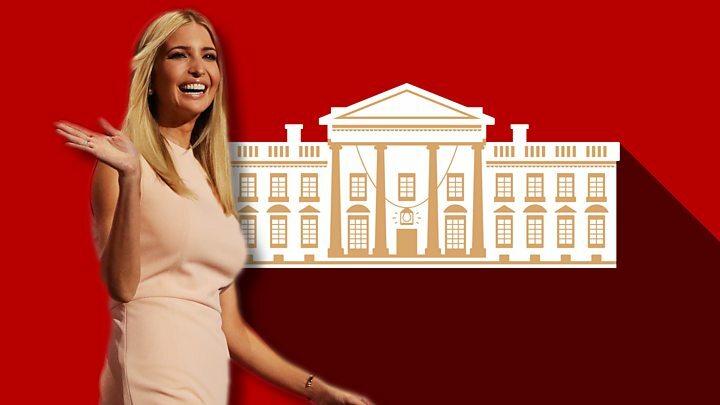 Ivanka Trump is officially joining her father's administration as an unpaid employee with the title Assistant to the President, the White House says. The US first daughter bowed to pressure following an outcry from ethics experts at her initial plans to serve in a more informal capacity. Ms Trump, 35, said she had "heard the concerns some have with my advising the president in my personal capacity". Who is the new first family of the US? 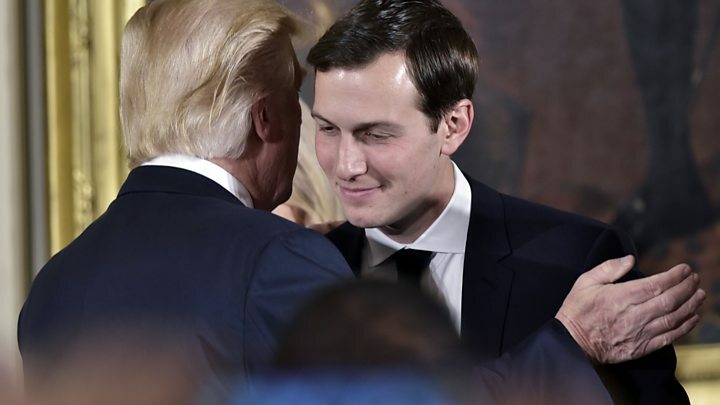 In a statement, the White House said it was "pleased that Ivanka Trump has chosen to take this step in her unprecedented role as first daughter". Ms Trump said in her statement that she had been "working in good faith with the White House Counsel and my personal counsel to address the unprecedented nature of my role". Ethics experts cried foul when it emerged last week that Ms Trump was to be given a West Wing office and security clearance, without formally joining the administration. Critics said Ms Trump's role ought to be made official so she could be bound by federal employee transparency and ethical standards, including a law prohibiting conflicts of interest. Ms Trump's lawyer, Jamie Gorelick, said her client will file the necessary financial disclosures and be subject to official ethics rules. Former President Barack Obama's ethics counsellor, Norman Eisen, told the Associated Press news agency that "for a change in what has largely been an ethics disaster, the White House came to their senses". "Let's hope it doesn't turn out to be an isolated moment of sanity," he added. Mr Eisen was among several lawyers and government watchdog experts who wrote last week to White House counsel Don McGahn complaining about Ms Trump's appointment. Ms Trump has already taken steps to limit possible conflicts of interest in her business affairs. Ms Trump has also stepped down from a leadership role in the Trump Organization, although she will continue to receive fixed payments from the real estate firm.